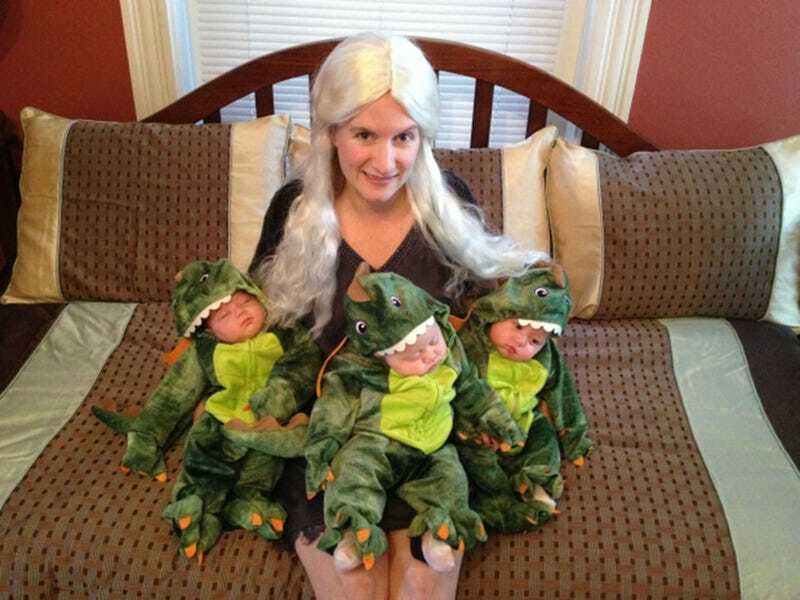 Khaleesi and her three FREAKING ADORABLE dragons. I'm dropping eggs like crazy over here and I think I just got baby fever. Baby DRAGON fever. "WHERE ARE MY DRAGONS??" I just yelled to my boyfriend. It's okay, it'll pass as soon as I see a cute cat, dog, sloth, or baby elephant do literally anything. Only squee can save me now!